North Ridge Trail is closed between where it intersects at Telegraph Canyon Trailhead east to Gilman Trail. Chino Hills State Park has a scheduled campground closure in place for July 15th - November 30 2019 to accommodate a water line project. During this time, the campground will be closed to all camping and day use visitors. The closure will also affect access to Ranger Ridge Trailhead leading from above the campgrounds. We apologize for any inconvenience this may cause. Any further questions can be directed to our Sector Office at 951-780-6222. Gates open at 8:00 am. When gates are locked, there is no vehicle access into or out of the campground. Information regarding the gate closure is available at the park and online at the State Park website. While some campers may be inconvenienced by the nightly closure, an extra level of security is provided by eliminating vehicles driving in the park that are not associated with campers. Not having these vehicles in the park at night reduces the hazard to children and pedestrians, reduces noise and vandalism, and reduces opportunities for theft of camping gear. Are there any rattlesnakes? - The answer is, "Yes!" The 2 most common rattlesnakes you will see here are the Southern Pacific Rattlesnake and the Red Diamond Rattlesnake. The Southern Pacific Rattlesnake is the one you will most likely run into in the park. If you do see a rattlesnake while hiking, stop and wait until the snake leaves the area. It has mostly likely felt you coming from the vibrations you've made walking on the trail. 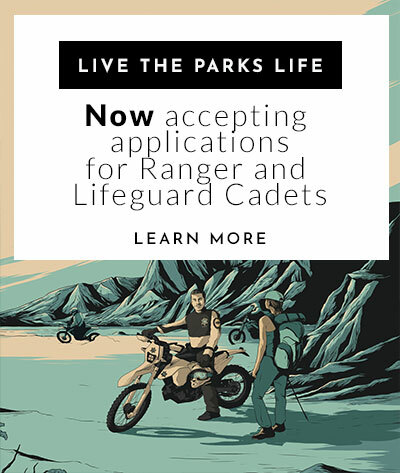 If it doesn't leave, turn around and notify a park employee or volunteer. Snakes are more willing to leave you alone and find something more manageable to strike and eat (unless you try to take a selfie with it). Notify a park employee so that the snake can be returned to a more suitable location to live. Do not try to relocate or pickup the snake yourself. It is important for visitors to plan their outdoor adventure at Chino Hills State Park or any any other wilderness area appropriately. Simple actions such as taking plenty of water (1 gallon/per person/day) and food, and knowing that cell coverage is extremely limited or non-existent can help you be better prepared to safely enjoy the park. We offer fun events year round from guided hikes to star gazing. Visit our Programs and Events Page for more about our exciting interpretive offerings. Chino Hills State Park is nestled in the foothills surrounded by the communities of Corona, Chino Hills, Yorba Linda, and Brea. The State Routes 57, 71, 91, and 142 border or are the near the park for easy travelling and accessibility from almost anywhere in Southern California. You can access the park and the trails from:. Quarter Horse Drive is located off of Fairmont Blvd. in the city of Yorba Linda. Fairmont Blvd. intersects Yorba Linda Blvd. between Imperial Highway and the 91 freeway. From SR71 head West on Soquel Canyon Road turn left onto Elinvar Rd. Park Closure - The park will close for at least 48 hours following rain of more than one quarter inch. High clay content in the soil causes “greased” trails and roads. Use during this time makes hiking, bicycling and equestrian activities hazardous and causes severe rutting of trail and road surfaces. The park is also closed during times of extreme fire danger, when the National Weather Service announces a Red Flag Warning. Trails - For safety’s sake, stay on designated trails and don’t hike alone. 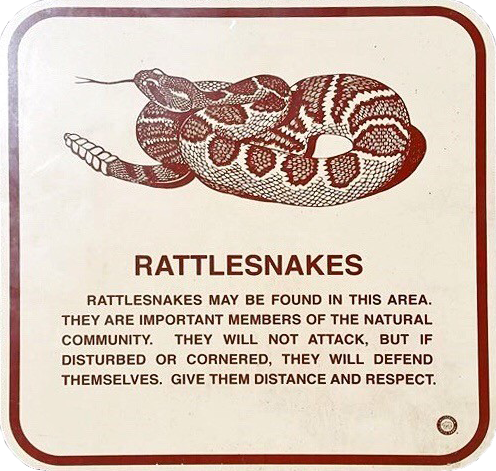 Be aware of wildlife, especially rattlesnakes. Dogs - Dogs are not allowed at Chino Hills State Park except at Bane Canyon Road, the Rolling M Ranch day use area, the Rolling M. Ranch Campgrounds, and day use areas at the Discovery Center. They must be on leash at all times and are not allowed in the backcountry or on trails. Pets must not be left alone at any time. Dogs are not allowed at any other locations. Speed Limit - 15 mph for all vehicles and bicycles. Vehicles off road - Motor vehicles may not be driven off road or in the back country. Vehicles are allowed on pavement and in designated parking lots only. Drinking Water - Available at the Chino Hills State Park Discovery Center, the Rolling M Ranch area, and the Equestrian Staging area. Trash - Pack it in, pack it out! Weapons - Weapons of any kind are prohibited. Collecting - Animals, plants, rocks, dirt and artifacts are protected by law and may not be disturbed or collected. Fees are $5.00 per vehicle ($4.00 seniors age 62+). Pay cash or check at the self-pay Iron Ranger box next to the kiosk, or cash and credit card to kiosk attendant when present. Open: Fri. Sat. & Sun. Chino Hills Campground is open 7 days a week $30 per night 8 people maximum per site. Two vehicle per site maximum. $5 per night extra vehicle fee.